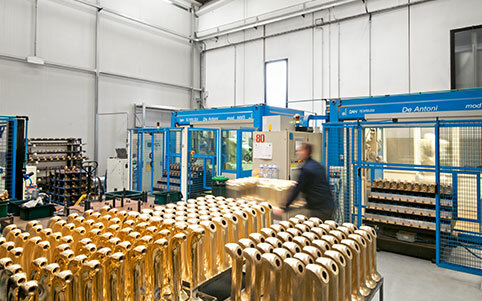 Lean and “just in time” manufacturing, just two of the many adjectives describing our new production philosophy – which we have introduced a few years ago. 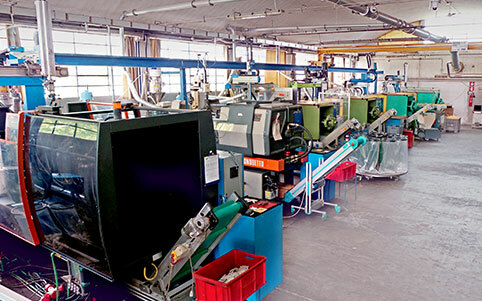 Our company has been active in the sector for 60 years, this new trend has enabled us to reduce waste in every single production step, improving the performance and, on top of all, maintaining our top quality standards. 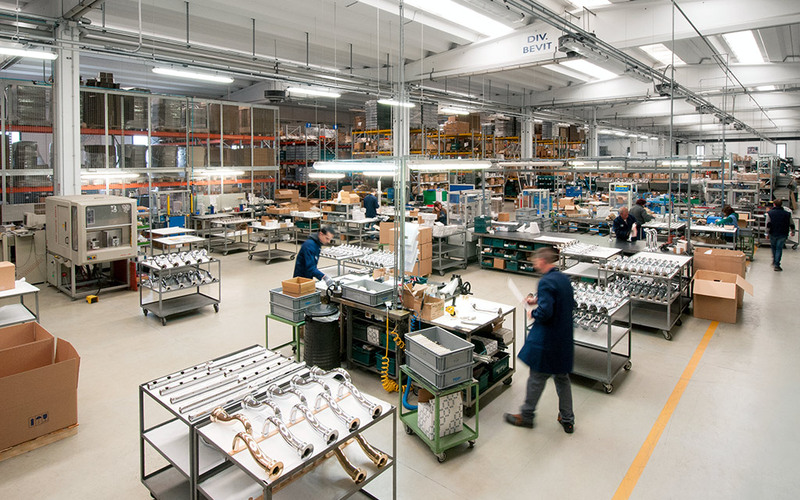 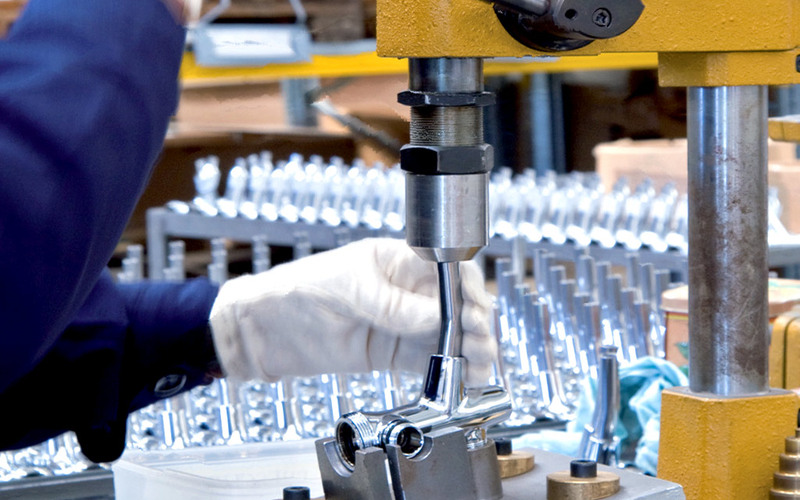 We prefer “Made in TOF” instead of “Made in Italy”, as our management has always chosen to maintain the production in-house, at our main seat in Italy, without outsourcing to foreign-located premises any type of process. It was a hard call, but we’ve been rewarded as we could count on rapid and direct control on all departments and on top flexibility for product customization. 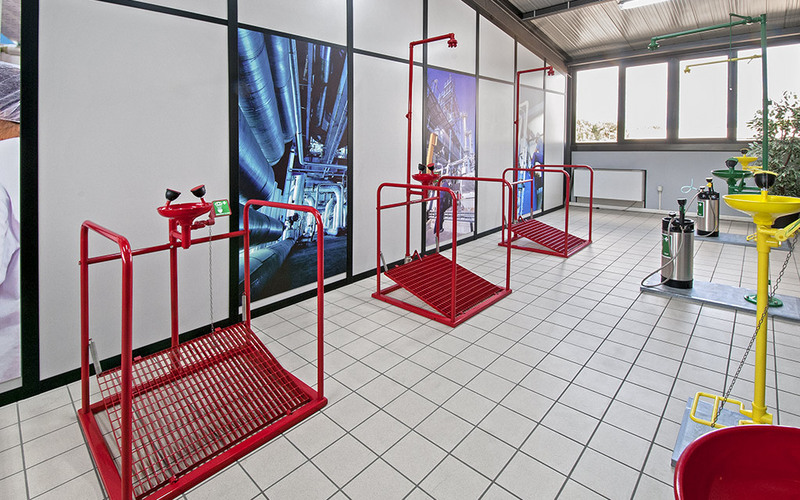 TOF supply chain (SMC) is an added value for our client at every production step! 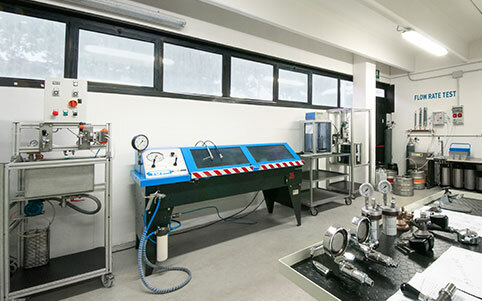 We analyse the products during their development and carry out strict tests on the finished product. 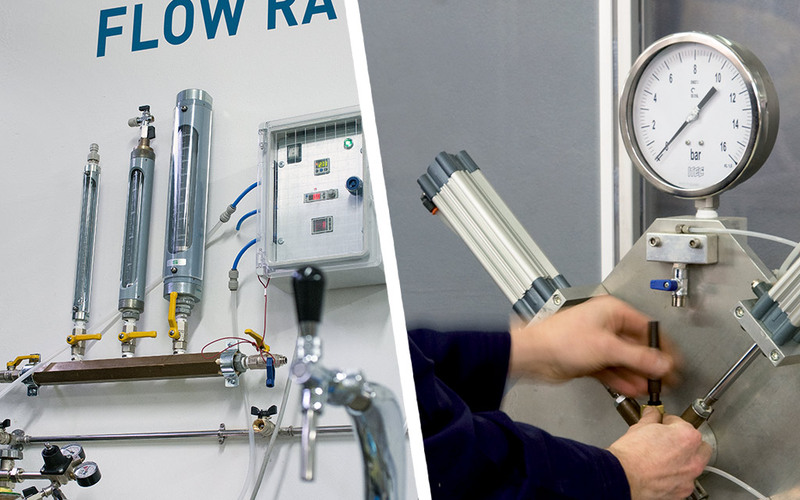 In addition, we periodically perform mechanical, hydraulic, chemical and thermal tests to verify their quality endurance in time. 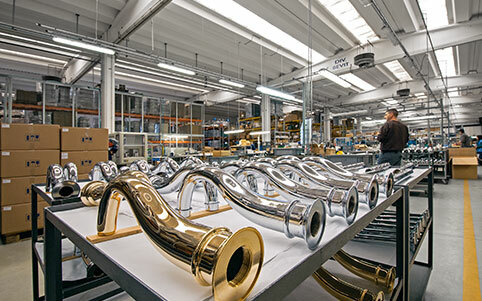 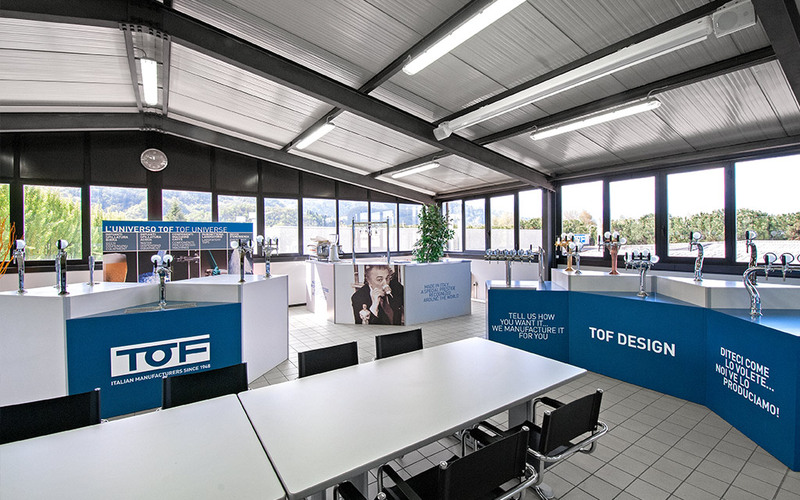 TOF’s production process starts with top quality materials. 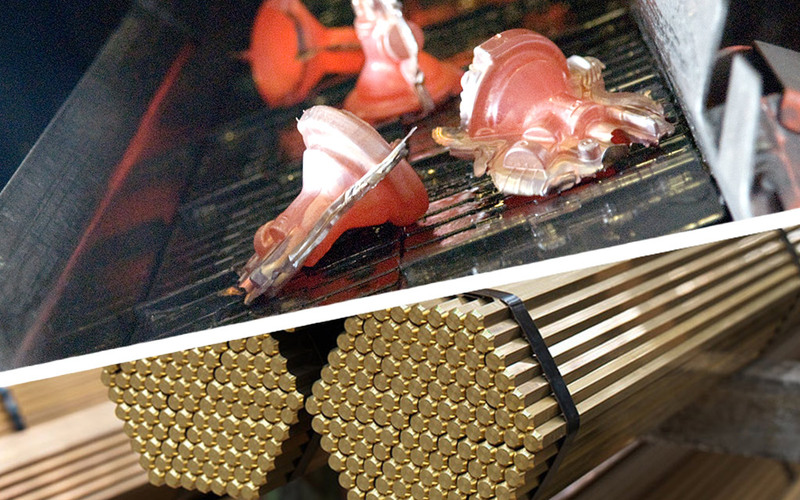 We constantly monitor quality and weight, verifying the bar presents no air bubbles or casting cracks. Our chemical-composition controls certify the product. We use various brass alloys, from the more traditional to those with reduced lead contents up to AISI 304 and AISI 316 steel alloys and polypropylene materials. 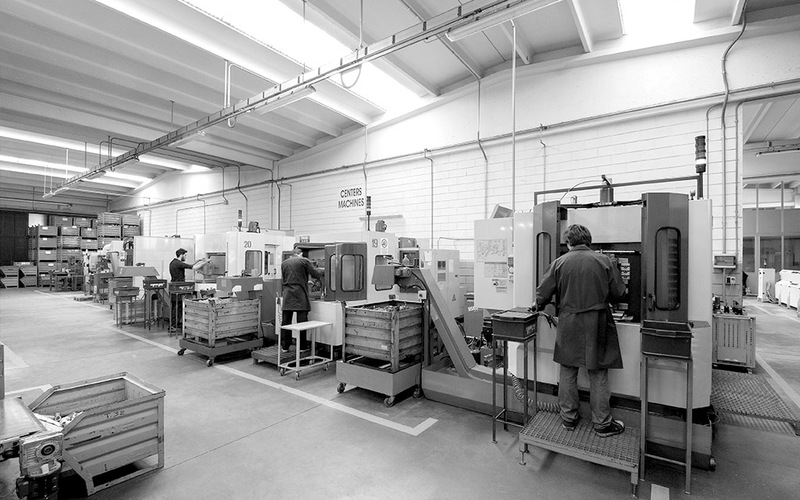 This department includes injection-press machines thanks to which we can manufacture ABS components of various dimensions. 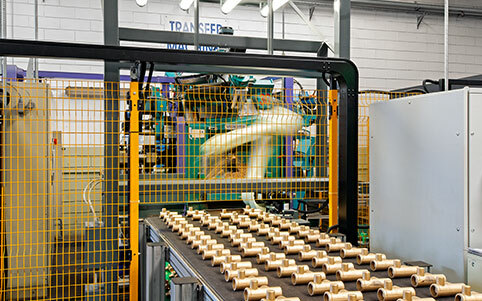 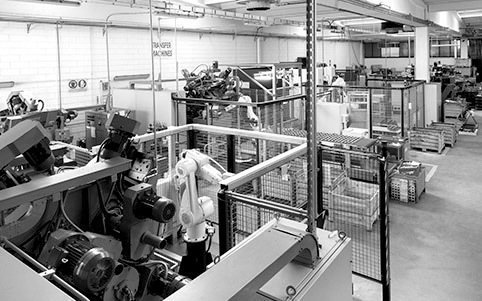 Press machines for the production of fittings with brass inserts are fed automatically by side-mount robots. Our philosophy is based on the choice of advanced machineries complying with the highest technical, quality and reliability standards. Complex parts, sophisticated requirements. 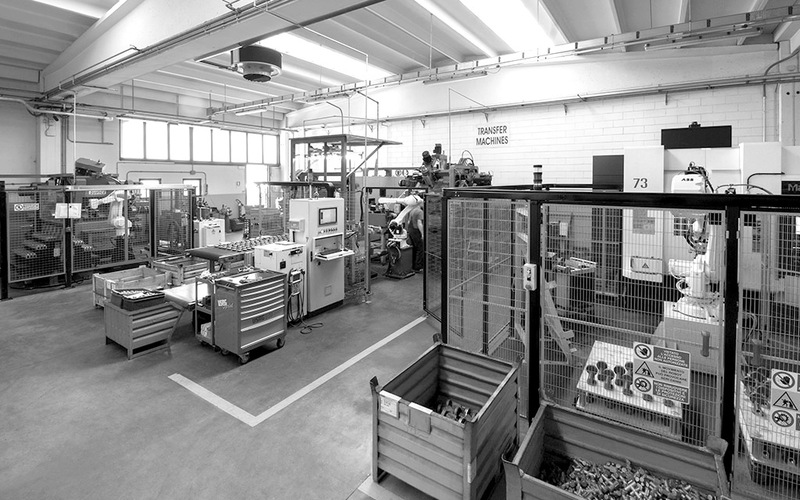 Our department is equipped with work stations and transfer machines featuring high levels of productivity and flexibility: swivelling vices, reclining heads mounted on carts offering high machining levels and supported by loading robots. 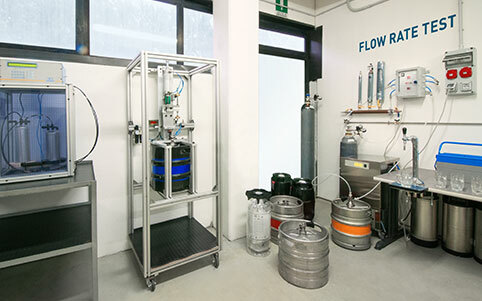 Every single product undergoes a thorough air-test on dedicated testing machines before leaving our premises. 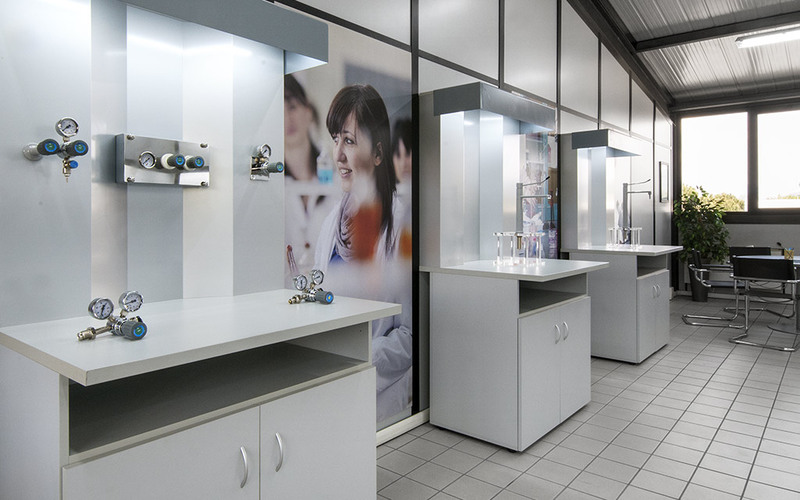 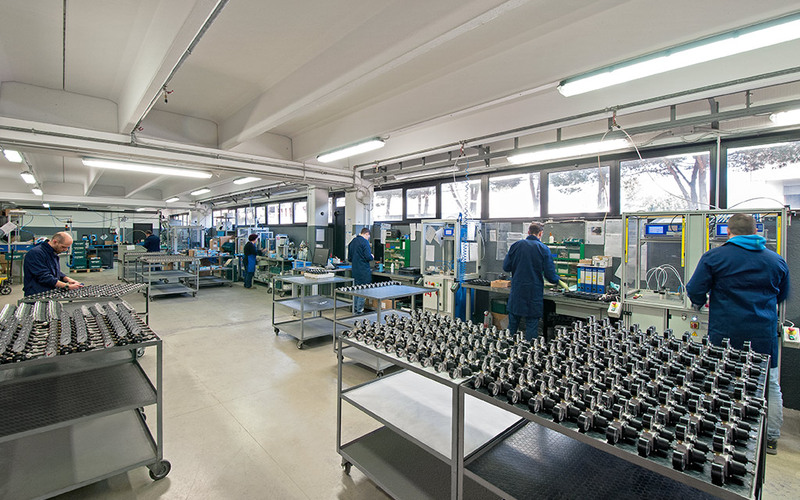 As opposed to global business trends characterized by outsourcing, our company keeps all its production within Italy borders, manufacturing every single product component and carrying out the entire production cycle within its premises. 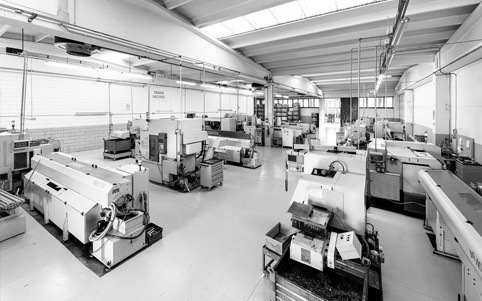 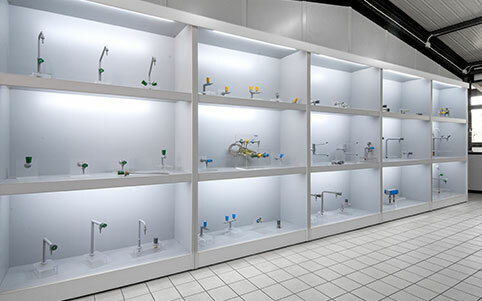 Our machines, designed and assembled by or in-house workshop, shape our final products and assemble the components, while guaranteeing testing of every single final item. 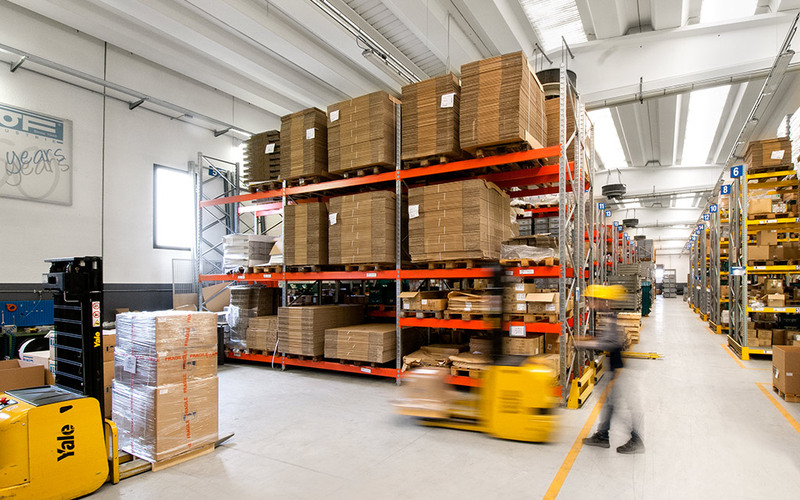 Our warehouse covers more than 2.000 sqm. 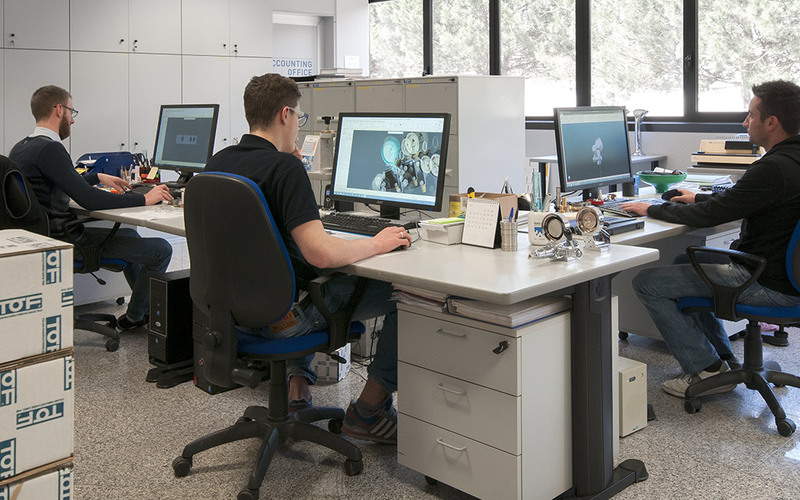 Administered by our management system it enables us to make our products available for all the international markets where we are active. Post-sale service, a qualified and professional back-office team combined to our global distribution network enable us to have direct contact with our clients. OUR CLIENTS: THE MAIN RESOURCE OF OUR COMPANY.